Imagine having severe pain for hours, days, months and even years. Imagine, even if you could afford it, having nowhere to get your pain relieved. 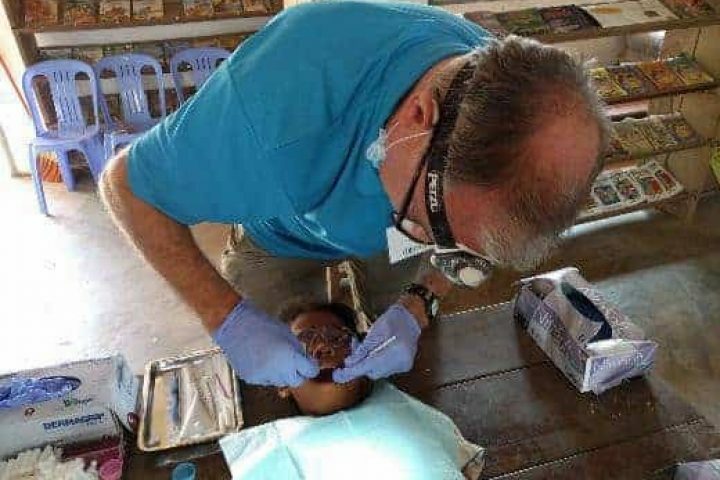 Having retired as a dentist, Ed is very pleased to discover another opportunity to join a Dentaid team, this time providing pain relief dentistry and oral health education in Sri Lanka. Throughout his career, Ed has always been passionate about preventative dentistry. This included helping people minimise pain and decay through simple diet control and effective oral hygiene. He is delighted that Dentaid has this long term goal at its heart. Ed’s own interest in Minimally Invasive Dentistry will stand him in good stead in locations where electricity is a rare luxury and the buzz of a high speed drill is unheard. Having retired as a teacher, Suzanne will also be putting her skills to good use, providing oral health education for the adults and children are who waiting to see the dentist, and also taking motivational photographs. 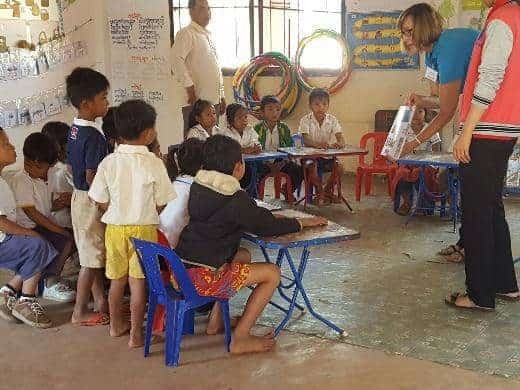 Over the last 20 years Dentaid has worked in more than 70 countries to end dental pain through treatment, training, education and equipment donations. For two weeks in September we will be involved in the first three of these goals. Ed will be delivering free emergency dental treatment in a range of settings and institutions, training local auxiliary dentists so that the care continues well beyond the project and Suzanne will be giving good oral health advice. We are completely self-funding this trip. The fourth goal is where you and the Wheelie Bin come in!! Dentaid have developed an amazing piece of equipment to help even the most remote communities gain access to pain-relieving dental treatment – The DentaidBox. This is an entire dental surgery that fits into a wheelie bin! 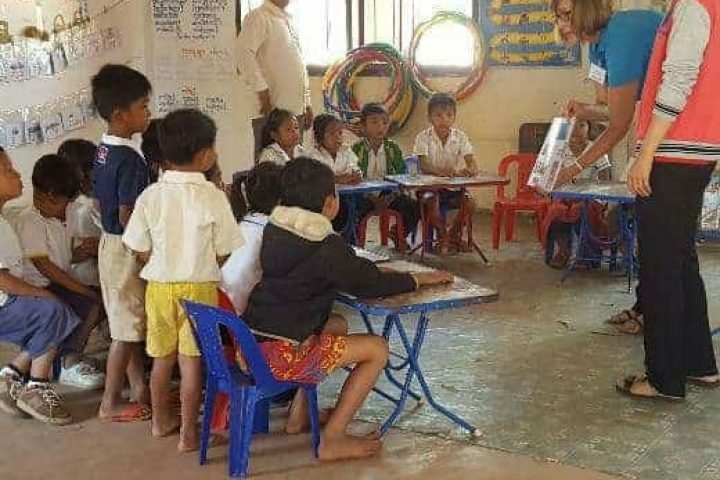 It includes a fully adjustable dental chair, a pressure cooker for sterilising instruments, a range of instruments and oral health education resources. 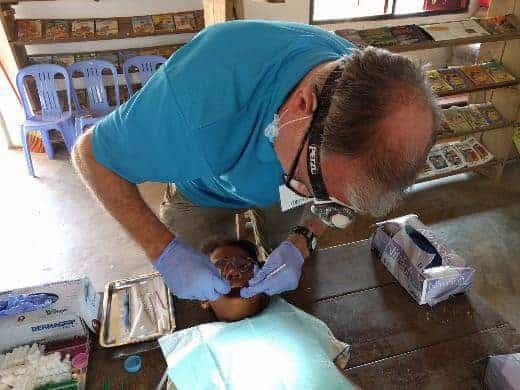 The means that dental clinics can be set up in some of the poorest and remote communities in the world. Each one costs £1500 and an additional £300 to send. Please support us by donating towards a DentaidBox. We are hoping to raise enough money to provide at least one such portable dental surgery. You can give online on our BT MyDonate page or talk to us in church. Ed and Suzanne would also very much value your prayers during this two-week venture.